Legal tangle is something which almost anyone would want to avoid in everyday life. However, as they say, ‘Know your rights’ and ‘Knowledge is Power’, awareness of legal aspects can actually give one an edge. We often hear about TRAI decisions, telcos approaching courts, individuals winning some cases in consumer courts and wonder if we would ever be able to take part in them or actually file a case? Question: Do you think a normal phone user should know telecom laws? If yes, why and what advantages can that offer? 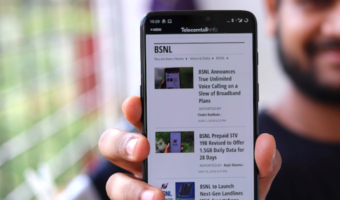 People talk about Constitution of India, Indian Penal Code and all the substantial laws of India, but they are inattentive regarding the laws of the articles or the subjects which they use in day to day life, similarly it is important for a normal phone user to know telecom laws. Many discuss the slow internet speed or the call dropping issues but they are usually unaware of the Fair usage policies by different internet service providers or they are unaware of the efforts TRAI (Telecom regulatory Authority of India) to stop the issues of call dropping. You will know what authority to approach if your internet is not working, or if there is an unethical practice been done by Telecom/Internet Service provider, Consumer Forum? TDASAT (Telecom disputes settlement and appellate tribunal)? Or another authority? For example – Quality of Service of broadband service regulations, 2006 talks about the Benchmarks for quality of Service (QoS) Parameters (Sec.3) has clearly mentions the deadline to resolve all the issues regarding the internet failure and billing issues and has also mentioned the Consequences for failure of the service provider to meet Quality of Service Benchmarks. If you know the law, you know the solution. Question: Are telecom and cyber laws the same? Cyber law and Telecom Law are two different branches of the same tree! On a very simplified manner, use of internet via any means for any purposes is governed by cyber law. Whereas anything related to telecommunications like radio paging, telephone services, mobile etc (excluding broadcasting services) are governed under Telecom Laws. They both are closely interlinked as Telecom laws also take care of Internet services. The authority who is responsible for the connectivity in your home is governed by telecom laws and what you use out of your internet is governed by Cyber Law. Apart from law, telecom law (Telecom regulatory authority of India act, 1997) is governed by Department of Telecommunications and Cyber Law (Information Technology Act) is governed by Department of Communication and information technology (DeITY). Question: Can you let our readers know some basic telecom laws that should be kept in mind? Sec. 2 – Defines major terms used in the said act. The Telecom Consumers Protection Regulations 2012. Question: We often hear about the Indian Telegraph Act. Can you explain in brief as to what that acts covers? Telegraph Act though sounds stereotype but has a cardinal position in telecom law, it is the mother act of the telecom law and Telegraph act gives the power to the government to lay its cable in any public or private property. British Empire takes the credit for the enactment of the said act as telegraph then played the part for them as the internet is doing now. Telegraph was a quick message transmission device. Part I – defines the act and Sec.3 talks about the definition. Government’s power to keep an eye on any telegraph messages transmitted in India. Arbitration of disputes and revocation of license etc. Part IIA – Talks about universal service obligation fund. Part III – Gives Power to the government to lay Telegraph lines in any public or private property within the territories of India. Question: Taking a legal recourse is often the last resort around the world, mainly due to long timelines and exorbitant costs. What do you have to say about this? We won’t deny the fact that legal recourse is the last resort, and who would want to run from pillar to post to resolve the issue in the court of law. But things are not as complicated as it seems like. For consumers “Consumer Forum” is always the nearest remedy where they can be compensated or resolve their dispute, even without hiring an Advocate. Apart from that, there are “Tribunals” that have been established in our country to avoid long timelines. In future as the litigations in this area will increase there might be a possibility that special fast-track courts would be set up for these fields. But, one must be consulting a legal expert of this field before taking any steps further or even before setting up something new, which would reduce the amount of risk of litigation. Question: It’s generally said that laws are outdated. We believe there should be scope for updating the telecom laws too. But there are constant amendments in every law from time to time according to the needs of the society and its changing dimensions. Similarly, there are many new procedural laws came up with the need of the time like Competition Act – 2002, Information Technology Act – 2000 and even Telecom Regulatory Authority of India – 1997 and as per Sec.36 of TRAI Act, TRAI has the power to make regulations to regulate the Telecom industry within the legal sphere. Therefore TRAI comes up with new regulations every time when it is need of the time to a part of the requirement for public benefit. TRAI is one of the very transparent government bodies and it takes suggestions from Telecoms and Consumers and makes the respective amendments from time to time. Question: How often do telecom laws change? Is there any way for interested citizens to get involved? Changing of law is the matter of legislative nature and it is the work of the legislative wing of the country i.e. the legislature. With the evolvement of time and globalization, with the view of meeting up the requirement, the laws will eventually get developed. Since our is developing country there is a huge scope for the introduction of new telecom laws and amending the older ones. TRAI is working on that aspect continuously. Question: Are there any online resources – websites, forums etc. (preferably free) that one can consult to know more about Indian laws (including telecom / cyber laws)? Since telecom and cyber laws are at their advancement and developing stages there are very few sites in the world (authentication about the content is doubtful) that provides information regarding these laws. But certainly, there are few websites which can provide you with the law (not opinions) like “vakeel.com” or “LiveLaw.in” which will help you keep yourself updated legally. Soon we will be coming up with a website of our own where all the relevant information regarding these laws will be available (that too for free) and for any help and suggestions, anyone is free to contact us. Question: We are glad to know that you have filed a PIL on minimum broadband speeds in India. The next hearing is slated for December, right? How long would it be before a final resolution is heard? Yes, next hearing is due to be held on 5 December 2016. The final outcome will totally depend upon the discretion of the court of law. But, since it’s a matter of public interest at large, we will try our best to make it as soon as possible. Question: After the HC resolution (let’s assume they order an increase in minimum speeds), how would telcos proceed? Can they appeal against that in SC? If suppose, the High Court orders in the favour of the motion then the Hon’ble Court will not order for the increase in minimum speed. The High Court will direct the Ministry to implement the law and further to bring an amendment in the TRAI Act, which is the work of the executive, then the job of the executive wing of the country would start. It is the time-consuming process but will be implemented only after the amendment being brought in the Regulations formed by TRAI. 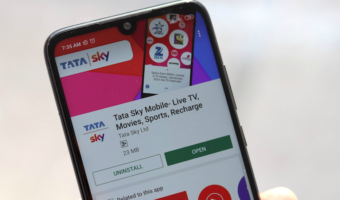 The telecom network providers will be granted time by the concerned ministry to implement the same and they have to proceed under the given time limit. It’s a highly technical matter. But, before the expiry of the period of 10 years which has been set as a timeframe for bringing up the new policy, it will get implemented. An appeal can be preferred before the Supreme Court against the decision of any of the High Courts by the aggrieved party. 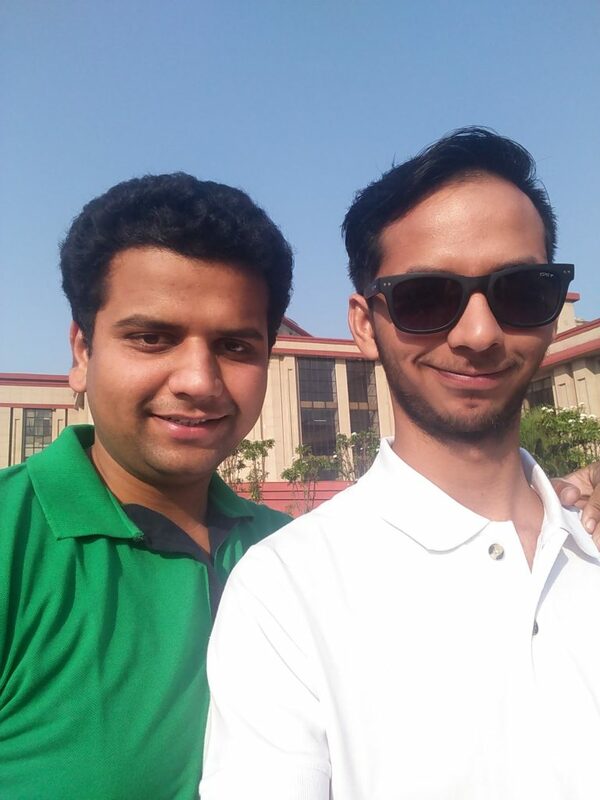 Palash Tiwari graduated from Bhartiya Vidyapeeth, New Law College Pune, and has completed his LL.M from the same College, has been practising in Chhattisgarh High Court. He specializes in Competition Law, Cyber Law and Telecom Law. Prasoon Agrawal graduated from one of the finest law institutions of India i.e Hidyatullah National Law University, Raipur and has been a Merit holder in the institution and has been practising in Chhattisgarh High Court from Past one and a half year. He specializes in Constitution and Telecom Law. I was hoping for change in minimum broadband speed while loading this article from my airtel broadband currently running at 512kbps. Best of luck to both of you from a guy from the same town. Yes.. we both are from same town.